Donald Trump at a campaign rally in New Hampshire earlier this month. Donald Trump used a rally in Farmington to urge backers to turn out on primary day and show the world his campaign is a movement. Farmington is not a town that sees many would-be presidents. Trump drew a crowd of more than 1000 to the town’s high school gymnasium. 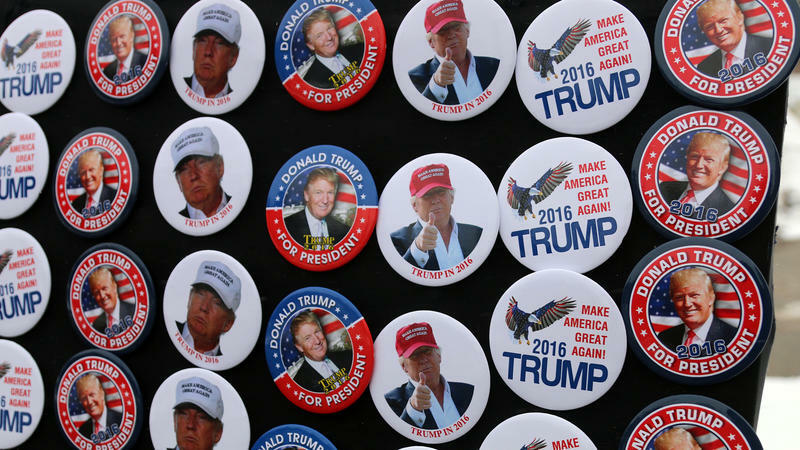 Trump’s main message was straightforward: Get out and vote.
" Don’t worry about polls, because there is only one poll that counts, Feb 9th for you people and Feb 1st for Iowa." Trump said he would save taxpayers big money by getting the government to negotiate prices with pharmaceutical companies under Medicare. "They say $300 billion could be saved if we bid them out. We don’t do it. Why? Because of the drug companies." Trump also continued his war of words with Texas Sen. Ted Cruz. Trump called Cruz, who was born in Canada to a mother who was an American citizen, "Canadian," and questioned if Cruz meets the definition of natural born citizen that’s required of Presidents under the constitution. Donald Trump was characteristically adamant at a recent town hall meeting in Claremont, New Hampshire. "All I do is tell the truth. I tell the truth." If you had to name a state where Donald Trump's political rise has caused the greatest disruption, New Hampshire would be a good pick. Trump has led every poll taken there since June — while tearing up the traditional Republican playbook for winning in New Hampshire. Trump has avoided the retail politicking that most other campaigns view as a must-do in favor of large rallies. He has never even spent two days back to back in the state campaigning.